A look back at sports fandom before the Internet. That Was a Thing is a series in which a Grantland writer goes in the way-back machine and dials up a pop-cultural moment from the past, examining it with the benefit of hindsight. Think back to a time before iPhones and out-of-town cable packages, before the NBA Game Time app, before you could know everything that was happening in every baseball, football, basketball, and hockey game across the country, in more or less real time. Let’s say 1980. Following sports in a comprehensive way could be a complicated, often impossible task back then. For a generation of fans who wanted to try, a service called Sports Phone was essential. The concept couldn’t be simpler: You call a number and hear a minute-long message with the latest scores and sports news. A half hour later, if you want another update, you call again — and pay another dime. It sounds as antiquated as a leather football helmet now, but in its heyday, Sports Phone was all the rage — a cultural phenomenon and crucial tool for gamblers — and its number is surely still burned into the memory of its regular callers. In a way, Sports Phone came to be because of Santa Claus. In 1964, the Macy’s department store in New York introduced a Dial Santa line, and it was a huge hit, attracting two million calls in just a few weeks. But all of those calls to the same number put a strain on New York Telephone’s network and disrupted service. The ordeal prompted the phone company to develop a way for large numbers of callers to reach a single number simultaneously. Eight years and $10 million later, it finally perfected the technology, which could handle 198,000 calls per hour. Jack Goodfellow, a longtime New York Telephone employee then working as a consultant, had tried to launch a permanent number for sports scores as far back as 1968, but at the time it overwhelmed the system. By 1972, however, technology had advanced enough for him to finally see his idea through. In October of that year, Sports Phone began running test messages. On November 1, it officially launched. For a dime, New York area callers would hear roughly 46 seconds of scores, plus a pair of seven-second commercials. Those commercials were necessary, because according to the phone company’s policy at the time, Sports Phone didn’t receive any money per call. In fact, not only did the entire 10-cent fee go to New York Telephone, but Sports Phone also had to pay the phone company a small amount for every call it connected. Goodfellow had trouble turning a profit with the business, and within a year, Sports Phone was bought by the media company Air Time Inc. Fred Weiner, an Air Time executive, lobbied New York Telephone to permit operators of call-in information lines to receive a portion of the per-call charge. Weiner’s proposals were met with resistance at first, but New York Telephone eventually agreed and changed its policy. And with that, Sports Phone was ready for a rebirth. 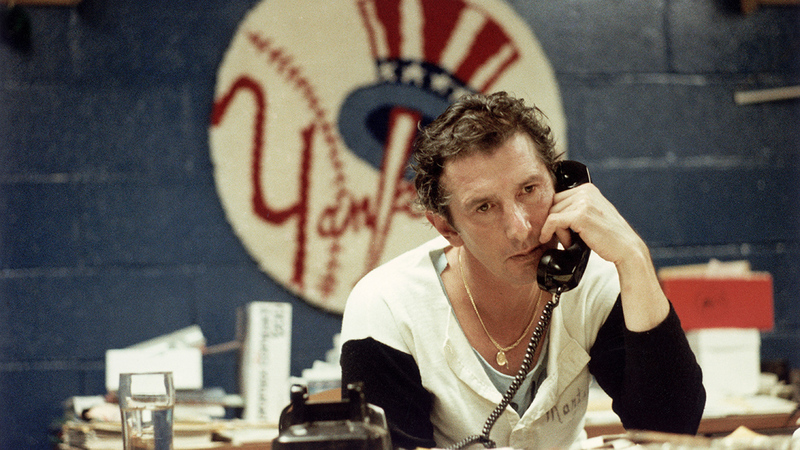 In the spring of 1975, Mike Walczewski, a Fordham University student who worked for the school’s WFUV radio station, came to the office and saw a 3×5 index card announcing that Sports Phone was hiring. Phone Programs, an Air Time subsidiary established to operate Sports Phone, was staffing up to legitimize its operation. Guy LeBow, a veteran radio personality who’d worked as a TV sports anchor, was hired to serve as a host, to oversee Sports Phone’s editorial operations, and to lend the service some local star power. In addition to LeBow, Phone Programs looked to hire young, unproven talent looking to break into the industry. Walczewski — now the Knicks public address announcer — got a job as LeBow’s producer. A Queens College student — Howie Rose, now a play-by-play announcer for the Mets and Islanders — was hired as the weekend night announcer on the recommendation of Marv Albert, who knew Rose as the onetime president of his fan club. The eight men hired to staff the relaunched Sports Phone worked in teams of two (an announcer and a producer). Operating out of a 57-story skyscraper in midtown Manhattan, the announcer would go into a small booth, lift a phone receiver, wait for a beep, and record a 57-second message. The announcers could cram up to 30 scores into less than a minute. After 57 seconds, their recording was cut off, whether or not they’d read all the scores. To promote the company, ads ran on local TV with then-Yankee Lou Piniella and George Steinbrenner. With LeBow encouraging the staff to do original reporting, the announcers would call around to locker rooms after noteworthy performances, hoping to snag an interview that could be cut into sound bites. The announcers would use those clips during the one-minute report, but they were also allowed to sell them to wire services and pocket the money. And so when Darryl Sittler set an NHL record with six goals in a game in February 1976, Sports Phone callers listened to him talk about it that same night. The night announcer would prepare a new recording every 10 or 15 minutes until all the games had ended. There was less action during day shifts, so updates consisted of sports news, MLB day games, interviews from the previous night, mini editorials, and waiting times at local golf and tennis facilities. One of the most popular daytime features was the Quickie Quiz, in which the first caller to correctly answer a trivia question would receive 15 seconds of airtime to talk about whatever he or she wanted. (A teenage Kenny Albert, son of Marv and now a broadcaster himself, was a frequent winner.) It didn’t take long for Sports Phone to gain a loyal following. In 1976, the service averaged about 65,000 calls per day, a number that typically grew when news was breaking. In 1977, as talk swirled that the Mets were about to trade Tom Seaver, Sports Phone fielded 600,000 calls in three days. By 1979, the service was averaging about 100,000 calls per day. Andy Roth, who started as a Sports Phone announcer in 1979, says the company could get upward of 300,000 calls on a good college football Saturday or an NFL Sunday, with the NCAA tournament also spurring heavy traffic. Call totals kept growing in the ’80s. In 1981, Sports Phone got 50 million calls, earning New York Telephone $3 million. By then, its parent company owned a number of similar Dial-It services, as they were called — time, weather, horoscopes, Dial-a-Joke, a Dr. Joyce Brothers hotline, and so on — but Sports Phone and the OTB results line were the most popular. “Sports Phone evolved, almost on its own, by word of mouth within the sports communities,” says Charlie DeNatale, who started as a field reporter at Sports Phone in 1979 and rose to become vice-president of marketing for Phone Programs. As the business grew, the score-gathering operation got more complex. At first, scores were pulled from a Western Union ticker. But the wires weren’t updated fast enough for Sports Phone’s liking, so staffers began calling press boxes directly or paying sports reporters $20 a night to phone in scores. Sports Phone would send reporters to local games to provide brief dispatches from the stadium, and it would also cover major events like the Super Bowl and the NBA Finals. At first, Sports Phone recorded updates every half hour during the day and every 15 minutes at night. As the service became more popular, announcers started recording more frequent updates. On NFL Sundays, a rotation of four announcers would record new updates every two minutes. Sports Phone also began churning out broadcasting stars. Rose would go on to a long career as a play-by-play man. Bob Papa, now the New York Giants radio announcer, worked at Sports Phone. So did Michael Kay, Gary Cohen, Al Trautwig, Jared Max, and many others still working today. The pay was lousy, but Sports Phone served as a launching pad for young voices looking to break into broadcasting. By that time, however, Sports Phone was already encountering difficulties. Some New York–area businesses, sick of footing the bill for their employees’ calls, began blocking the number from their office phones. Pagers, which were gaining popularity with gamblers, allowed hard-core fans to access scores from handheld mobile devices. And, yes, WFAN’s regular updates cut into Sports Phone’s market share. At their peak in 1992, callers spent about $3 billion on calls to 1-900 numbers nationwide. Revenues for the Fresh Prince line at Phone Programs were greater than $10 million in its first two years. Phone Programs tried to revive Sports Phone by introducing an interactive live line, which allowed multiple callers to speak with an anchor who would give not just scores but also play-by-play details from games. The longer the callers stayed on the line, the more they were charged. La Greca recalls getting a call one afternoon from a man claiming to be in a limo heading toward Atlantic City. He stayed on the phone for three hours while La Greca gave him the blow-by-blow of an entire Cubs-Astros game. La Greca remembers wondering, How much does he have on this game that he’s spending three hours on the phone at 99 cents a minute? But even though Sports Phone had received nearly a billion calls by 1990, its days were numbered. “By 1990, Sports Phone was already in the semi-dinosaur category,” Walczewski says. The launch of ESPN2 and its Bottom Line crawl of scores allowed anyone with cable TV to get constant, free updates. Over the years, as more and more homes connected to the Internet, such information became available on demand within seconds. Eisner described Sports Phone as “the Internet of its day,” but it was no match for the real thing. In 1998, Fred Weiner addressed Sports Phone employees at the company’s offices, which by that point had moved to Elmont, Long Island, near the Belmont Park racetrack. The writing was on the wall, he told them, and the company would have to trim the fat to stay alive. There would be layoffs and a companywide restructuring. La Greca was given a two-year contract and a flat fee to control Sports Phone’s operations — paying staff, finding an office, and overseeing editorial operations. He moved the company to an office near his home in Franklin Lakes, New Jersey, where it shared a bathroom with the office of a skin care specialist one door over. Only one person was needed to work each shift, since the announcer could just get the scores off a computer screen, jot them down, and read them in the booth. But even with the reduced staff, La Greca barely had money left to pay his salary. During a 1999 nor’easter that knocked out power to the office, Sports Phone announcers had to record updates from pay phones. At times, La Greca recorded the messages himself — right from WFAN’s studios. By the end, Sports Phone was getting about 1,000 calls on a good day. Sometimes, announcers wouldn’t even come to the office. They’d just record messages from home, getting scores off the Internet and reading them to the remaining audience. La Greca decided not to renew his contract in 2000, and Phone Programs shut down Sports Phone for good. “There was no reason to continue with it,” Weiner recalls. Some of the company’s equipment is still in La Greca’s mom’s garage. Joe DeLessio (@joedelessio) is an associate editor at New York Magazine’s website and a contributor to Sports on Earth.